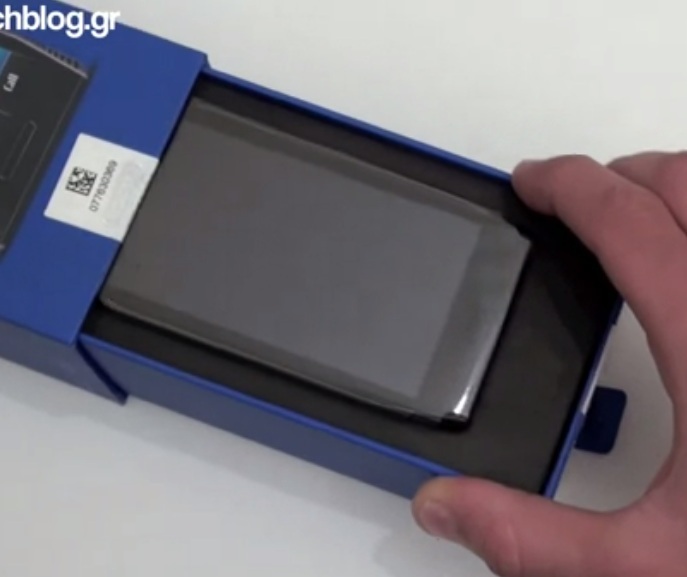 Video: Nokia X7 unboxing and the new style packaging! I think I prefer this style of packaging. It’s more compact, you immediately see the device outside the box and the first thing after sliding off the sleeve. Another cool thing is that you can make odd squeaking noises if you pull the packing in and out :p.
Quite smartly, underneath the phone, the tray for the sim card is already removed, indicating to the user that this can come out of the phone and this is how to insert the SIM card. There’s also a clear sticker on the back of the X7 to explain this. It’s a similar tray to the E7 which I really liked. In the case of the X7 though, this is also how you access memory card (which E7 does not have). The box contents are hidden in smart layers. Peel off the mould for x7 and you have a separating layer, inside of which actually houses a little pamphlet manual. The headphones and USB cable are neatly tucked away in a black labelled box, charger sits open nicely. Opinions on Symbian/EDoF/Processor aside, it’s essentially a good phone. It looks great and seems to perform ok on Symbian Anna (well in other videos, it seems to have an odd lag/freeze in this video). Just imagine the new things Nokia are cooking up with New Symbian, MeeGo and of course the upcoming Windows Phones. I hope we keep to this minimalistic packaging with at first glance just shows the phone. « Video: 33 minutes showing differences between PR1.2 and PR2.0 (Symbian Anna) with two Nokia N8s.